Book with us by March 1st 2019 and get $500 discount on the Tour Fee! We are very happy to announce that we have partnered with Open Sky Expeditions for this fascinating and visually breathtaking photography trip to Morocco. The Tour is designed for people who love photography, travel and discovering unique cultures and it’s an amazing opportunity for both amateur and professional photographers who want to enhance their skill level. Join an exquisite photographic journey to one of the most visually striking settings on the planet, through a thoughtfully-crafted workshop in Morocco’s Imperial Cities and a magical expedition to the Sahara Desert via the Atlas Mountains. The photographer leading the tour is award-winning photographer David H. Wells. • Photography workshops & one-on-one guidance by travel photography veteran and photo instructor David Wells. • Three nights in Fes, the largest and most intact medieval city in the Arab world, at the lovely Algila Fes boutique hotel. • Three nights in storied Marrakech, meeting point of caravans for centuries, at the Riad Al Rimal boutique riad. • Five-day journey through the stunning Atlas Mountains to the sublime Sahara Desert. • Open Sky senior Tour Leader & photographer Temu Nana as your personal host. 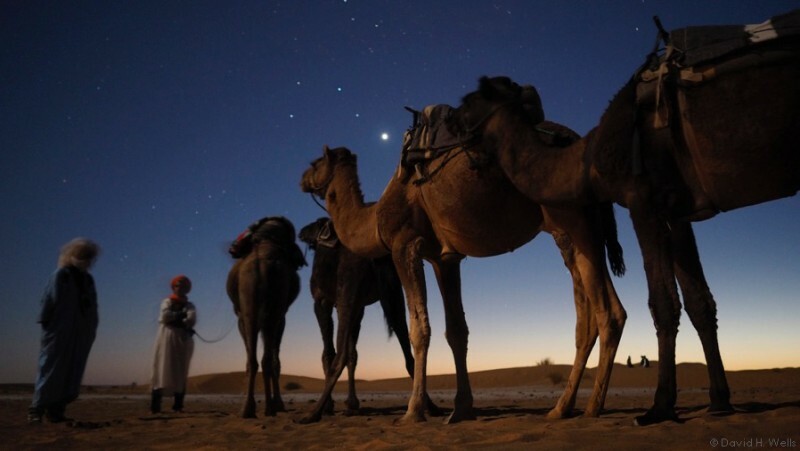 • Spend a night at a private luxury camp in the dunes of the Sahara. • Tour the UNESCO-protected 11th century Kasbah of Ait Ben Haddou. • Take in a beautiful & varied landscape: golden dunes, snow-capped mountains, imposing gorges & fortified ksars. • Experience Marrakech’s magical Djemma el Fna at dusk, when the square comes alive. • Travel with our top-rated English-speaking Moroccan guide, Moulay Hassan. • Enjoy exquisite Moroccan fine dining. • Relax with logistically-seamless, hassle-free travel, with tipping included & much more (see tour inclusions). For Tour Fee and Inclusions click here. October 25th – Arrive Fes & meet the group over cocktails. October 26th – Photography workshop in the morning. Guided tour of Fes’ fascinating medieval medina throughout rest of the day. Navigate & photograph the maze! October 27th – Morning visit in “new Fes” (dating from 14th cent.) followed by lunch and photo shoot with a family. Photography workshop in the afternoon; night photography practice. October 28th – Spend the day on a beautiful journey southwards through a remarkable diversity of landscapes: Visit Swiss-like Ifrane; have lunch in Midelt; descend into the Ziz Valley; arrive Erfoud, gateway to the Sahara. October 29th – Continue by 4x4s into the Sahara Desert south of Erfoud: Visit with nomads, enjoy private lunch at an oasis. A breathtaking late afternoon awaits: sunset camel ride, dinner and overnight in private desert camp. October 30th – Sunrise in the dunes; continue exploring the Desert in the morning, then head westward: Walk in the striking Todra Gorge in the afternoon, and continue into the beautiful Dades Valley. October 31st – Leisure time in the morning to review photos and relax. Lunch at a Berber home in the Skoura Oasis; tour the imposing 11th century Kasbah of Ait Ben Haddou. November 1st – Cross the beautiful High Atlas Mountains en route to Marrakech. Late afternoon walk in Marrakech to magical Djemma el Fna Square at dusk. November 2nd – Guided tour through Marrakech’s ancient medina throughout the day. In addition to souks and artisan areas: Visit the Ben Youssef Medersa; Visit the Photography Museum, hosted by theDirector. Explore Djemma el Fna again. November 3rd – Morning visit to historic Marrakech monuments (Bahia Palace, Badia Palace, Koutoubia Mosque). Afternoon options for leisure time back in Marrakech; final photo show & Farewell Dinner. Pre-trip: Arrive in Casablanca a day earlier for a visit of the city & Meknes before arriving in Fes. Post-trip: Extend two nights in beautiful seaside Essaouira, returning home on November 6th. David H. Wells is a freelance documentary photographer and photo-educator based in Providence, Rhode Island. He specializes in intercultural communications and the use of light and shadow to enhance visual narratives. He has received two Fulbright fellowships, a grant from Nikon/N.P.P.A. and a fellowship from the Pennsylvania Council on the Arts. His work has been in over fifty exhibitions and he has taught workshops at the International Center for Photography in NYC and at the Maine Media Workshops. 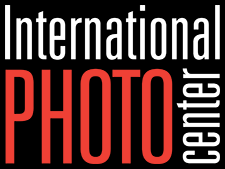 In 2011 he was featured in Photo District News as one of “The Best Workshop Instructors.” He has exhaustive experience leading photography tours, including our last 4 years in Morocco to great success. Temu Nana was born in Detroit, MI to a Pakistani father and Canadian mother. He had the good fortune to travel extensively as a child and has lived for short periods in Saudi Arabia, England, Italy, and Greece. While managing a restaurant in NYC, a meeting with Open Sky Expeditions President, Alex Ros, led him to the travel industry, where he worked for several years on small-ship, luxury, educational cruises as a Cruise Director or Tour Manager. Temu had the good fortune to work with—and learn from—expert field staff, and has led dozens of tours on five continents: Africa, Europe, the Americas, and Asia. He is equally comfortable conducting tours in cultural or natural history, though his first passion—and inspiration to pick up a camera, with which he instantly fell in love—is the natural world. Over the last seven years he has become a prolific and skilled photographer. Temu joined both our 2013 & 2014, and took over as senior tour leader on this trip in 2015. 2018 will be his sixth year directing this well-oiled program. He looks forward to returning with you, and getting amazing shots along the way! We are delighted to once again be joined by Mr. Moulay Hachem on this year’s tour – a brilliant, eloquent, exceedingly gracious gentleman who is undoubtedly one of the best guides in Morocco. Originally from a large oasis in south-eastern Morocco (in the Tafilalet Region, home to over 1.5 million palm trees, which we’ll have the pleasure of visiting with him), Moulay spent the bulk of his childhood and school years in the cosmopolitan capital city of Rabat. In 1989 he graduated from Mohamed V University with a degree in Linguistics, and shortly thereafter became a professional tour guide in 1991—a job he has been doing with great pleasure ever since. Throughout his 23 years in the profession, Moulay has accumulated extraordinary experience leading all types of travelers to just about every corner of the country, including many groups from reputable academic organizations and even international dignitaries. It’s a privilege to explore Morocco with someone so experienced and yet so personable, modest and genuinely interested in your satisfaction. We have no doubt you will love Moulay!